I decided to rebuild of of my earlier projects of a Burke class DDG that I built back in 92'. I noticed that the model was beamer than the model should of have been so I then adjusted the beam and started the build all over again. After a couple of hours of sanding and a little bit of bondo and other work the model is about ready to start the deck and structure work. New shafts and struts are in and work freely. Deck is now in as well as the speed controls and motors are all mounted inside. 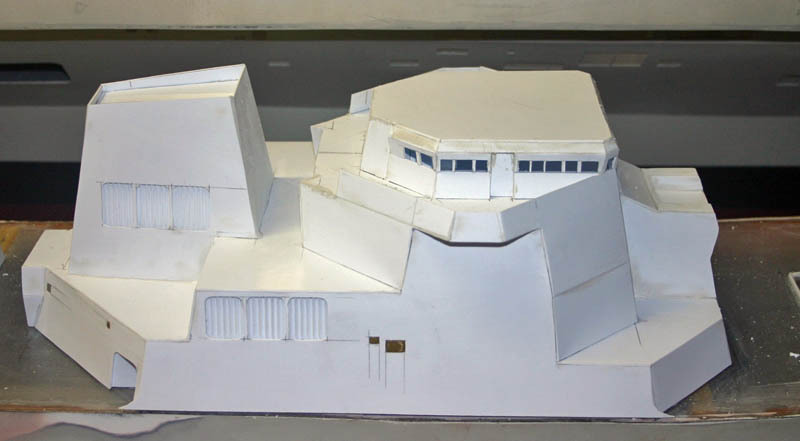 Structure work started on the forward and aft structures. Here you can see some of the vents that are installed already, The screen mesh vents were done by using model railroad photo etched screens that are 3" by 6" and then I just cut the screen for the vent size that is needed. 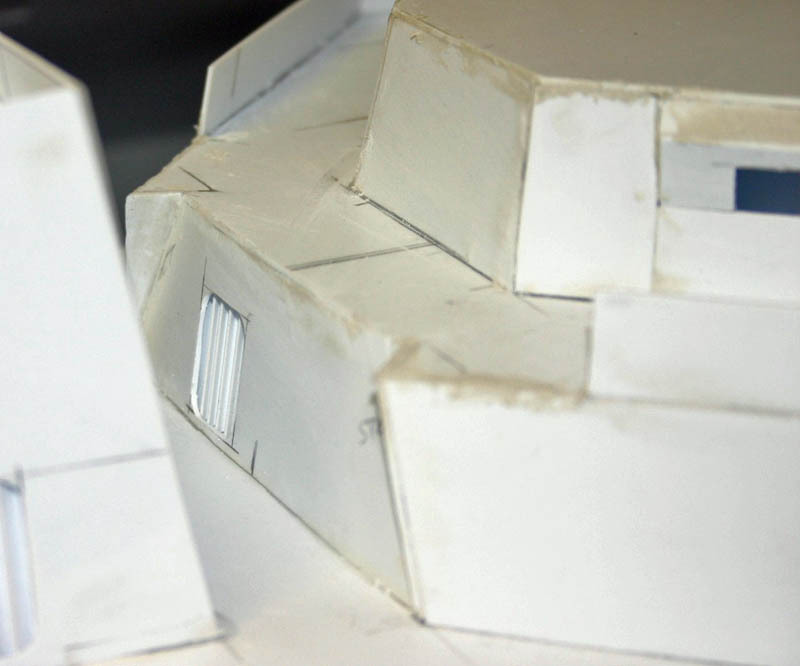 The louvered vents I used angled styrene strips, this will be dicussed on how too later. 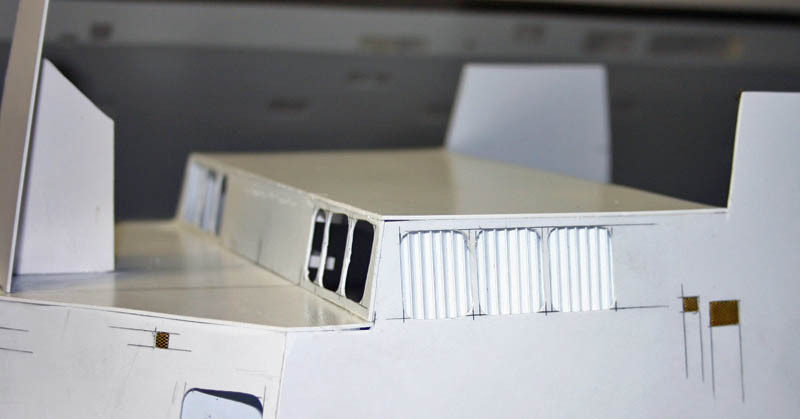 A close up of te louvered vents on the side of the forward structure. One the louvered vents before it is installed, You may be able to see that there are two layers of the angled strips to get the vent efect. 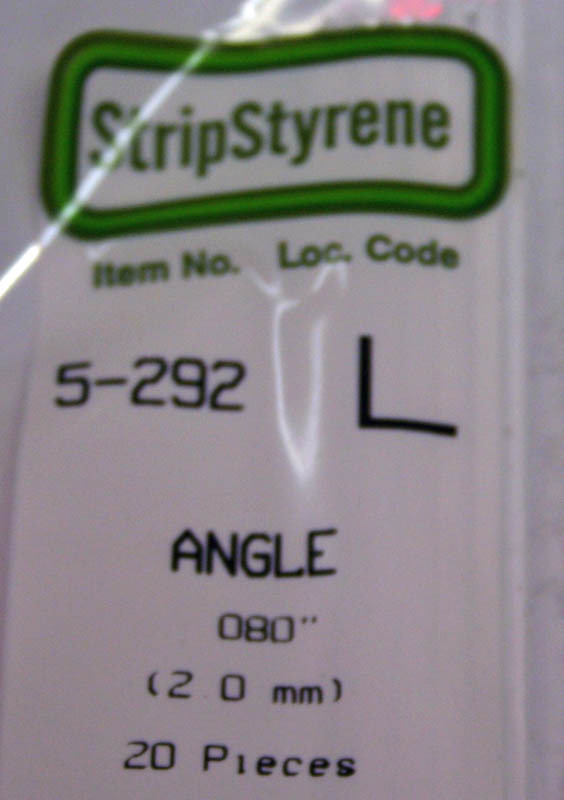 This is the styrene strips that I used, I ordered them directly from Styrene products them self to get the larger number per package than what you get from your local hobby shop. I made this diagram to give every one an ideal of how the strips were layed out so that others may experiment with this ideal to see how they may like it. 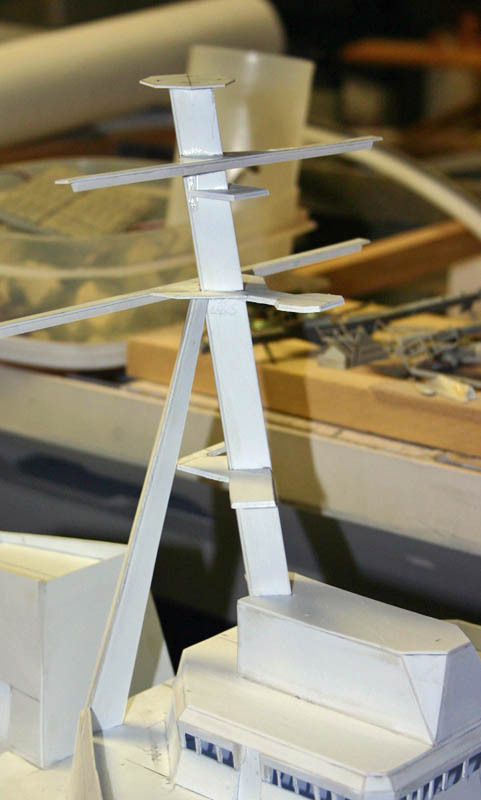 The forward structure is a little further along in it's build nearing the point of adding the mast to the structure. This photo shows the section just aft of the bridge and down one level so that you can see the one vent that is located in this section of the ship. This vent is missed by some modelers. 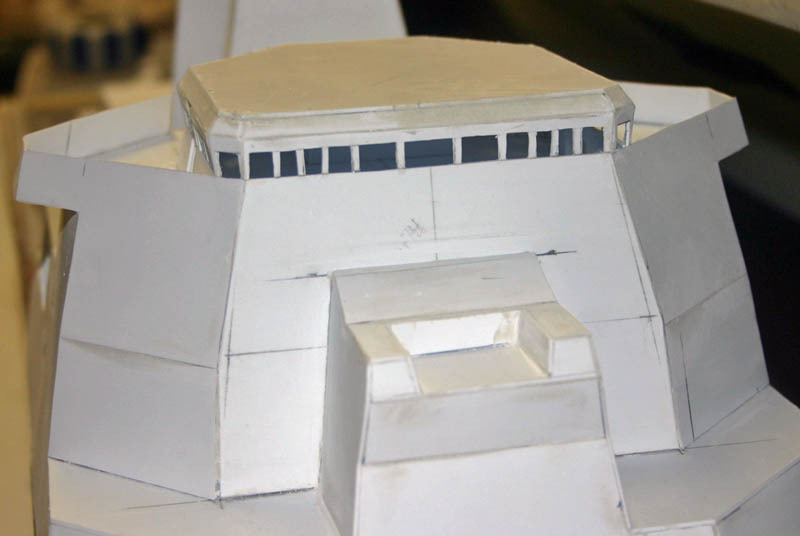 Front of the forward structure showing some of the bridge windows along with the location were the CIWS is located, note that there are a few different angles located in this section of the model as on the real ships. 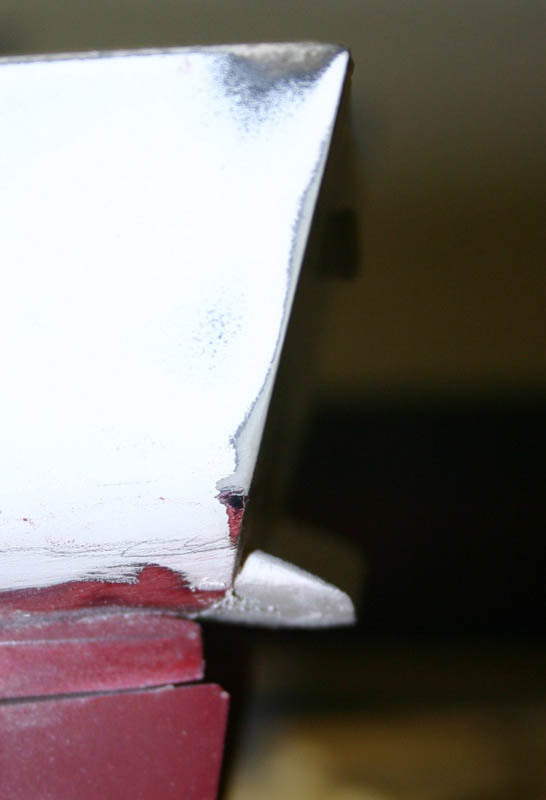 Added the stern wedge to the model, this wedge is being added/ back fitted onto the Burkes as they are built or going through an overhaul. The wedge increases the ships over speed and saves on the fuel cost as well. 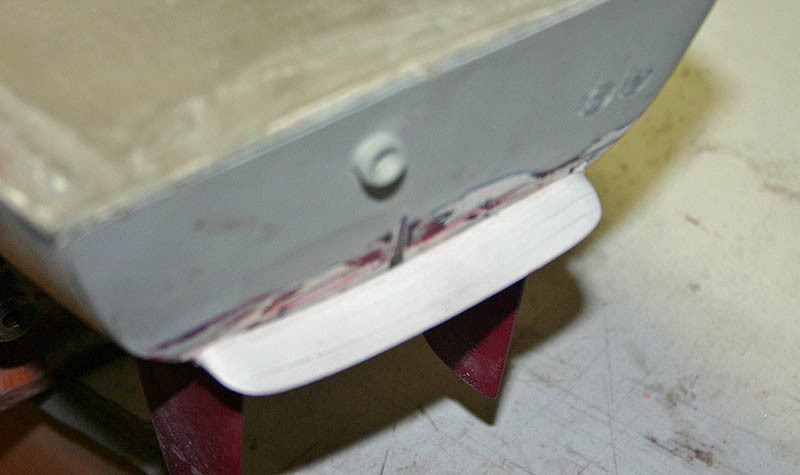 A stern view of the stern wedge to give you an over all view of the design. Side view to let you see the angle in which the wedge protudes out from the hull, it maintains the same angle that the last portion of the hull has angling back down into the water.